It is with great pleasure that we welcome Certified Strength and Conditioning Specialist (CSCS) John Priest to the Tiger Muay Thai Family. Priest, originally from the United States, has been a professional member of the fitness industry for over fifteen years. Priest has been the personal strength, conditioning coach and nutritional advisor to many of top mixed martial artist(MMA) athletes from the UFC, Strikeforce, PRIDE, One FC and Bellator promotions as well as athletes from a wide variety of sports. 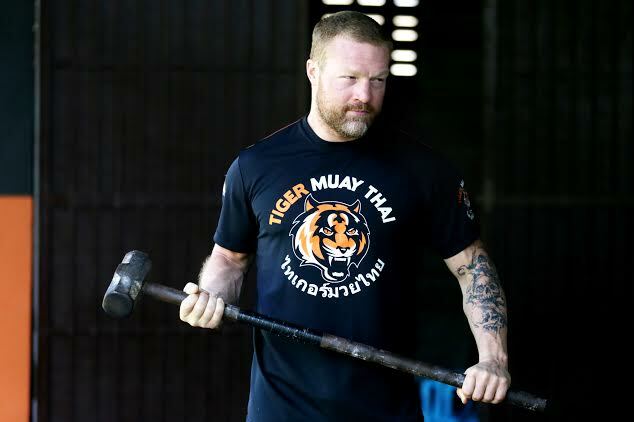 Priest brings an extremely high level of expertise in many areas of strength and conditioning to the Tiger Muay Thai Fitness & Cross-training program including: athletic performance, physiotherapy, nutritional counseling and weight loss. Priest received his Masters of Science in Kinesiology from the University of Nevada, Las Vegas(UNLV), where he worked closely with professional Boxing, Muay Thai, Brazilian Jiu-Jitsu and mixed martial arts fighting community. Priest also holds the prestigious certification of strength and conditioning specialist from the National Strength and Conditioning Association(NSCS).